3. Critique - Watch the video on Salvador Dali. Download the form and answer the questions about the painting below. Submit your completed form in Schoology. "Salvador Dalí frequently described his paintings as “hand painted dream photographs.” He based this seaside landscape on the cliffs in his home region of Catalonia, Spain. 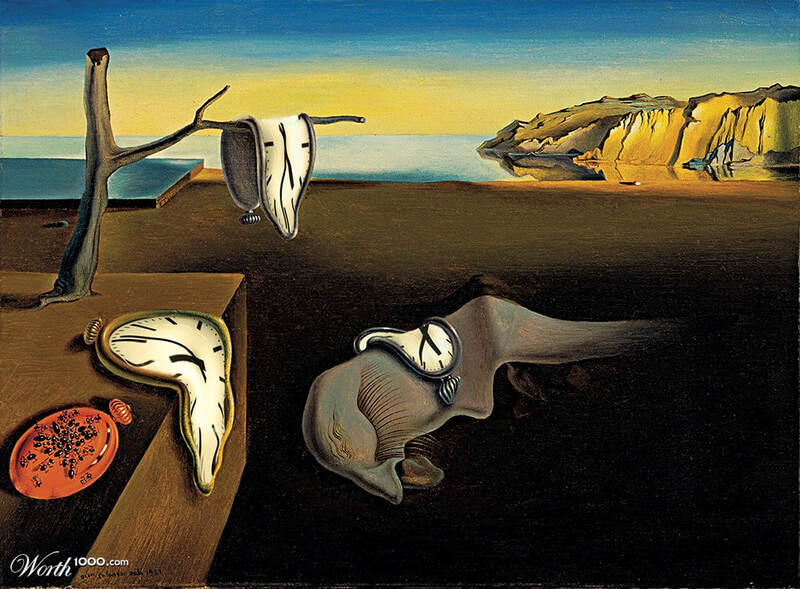 The ants and melting clocks are recognizable images that Dalí placed in an unfamiliar context or rendered in an unfamiliar way. The large central creature comprised of a deformed nose and eye was drawn from Dalí’s imagination, although it has frequently been interpreted as a self-portrait. Its long eyelashes seem insect-like; what may or may not be a tongue oozes from its nose like a fat snail from its shell.